Do you own a car? A motorcycle? How about an RV? Well, all of these modes of transportation require insurance most of the time in most states. If you plan on protecting these vehicles against physical damage, you had better know what the term Actual Cash Value (ACV) means. When is Actual Cash Value Used? Actual cash value is prominently talked about when it comes to home insurance, however, it most definitely plays a role in car insurance, too. Anytime you have a total loss situation, more likely than not, your vehicle compensation will be awarded based on the Actual Cash Value of your vehicle. The ACV is the amount of money that your vehicle is worth at any given time, and it’s found by subtracting wear and tear costs (aka depreciation) from the original cost of the vehicle. It also means that if you receive a check in the mail for this amount, you are not going to be able to run out and buy a brand new car of the same make and model! Your car, motorcycle, or RV are all depreciating assets, meaning that they lose value over time. If your vehicle is totaled, you will receive a payment for the current value of your vehicle rather than its original price. It is important to understand how a total loss claim is calculated. Frustration will surely be a big part of your claim process if you do not have a good grasp on how the process works. Just for Recreation Vehicles: Check your policy to see if you have actual cash value or replacement cost on your awning in particular. Awnings are very susceptible to damage from weather, sun, and time. Some policies will offer replacement cost coverage at an additional cost, which is what I would recommend. Can Kelly Blue Book Determine ACV? No. Insurance carriers do not go by KBB.com or Edmunds or any other available site. Each carrier has its own proprietary system for calculating ACV total loss payouts. The good news is, that in a pinch, you can get a great ballpark figure of what you are looking at value wise. Unfortunately, insurers do. They don’t want to have to cover the cost of a new vehicle while you’ve been driving the old one around for years. It wouldn’t be a good business model for them. 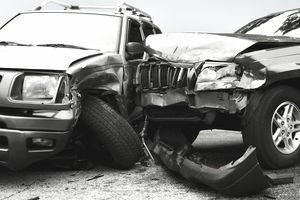 It is always a good idea to look into your options if you want a different type of coverage, or alternatively, set up an emergency fund to cover the difference that you will have to pay in the event that your vehicle is totaled and you want to replace it with the same make and model. If you’re worried about not being able to get the best parts for your repairs, there are a few things you can do. If you do not like used parts being used on your "used" car repairs, check into getting an OEM part endorsement. OEM parts come straight from the manufacturer vs used or aftermarket parts. So in a sense, you could get original new parts for your repairs. You still will not get a brand new car in case of a total loss, but this increase in coverage makes many people very happy. Having coverage for OEM parts is definitely more expensive, but for some people, it is worth it.